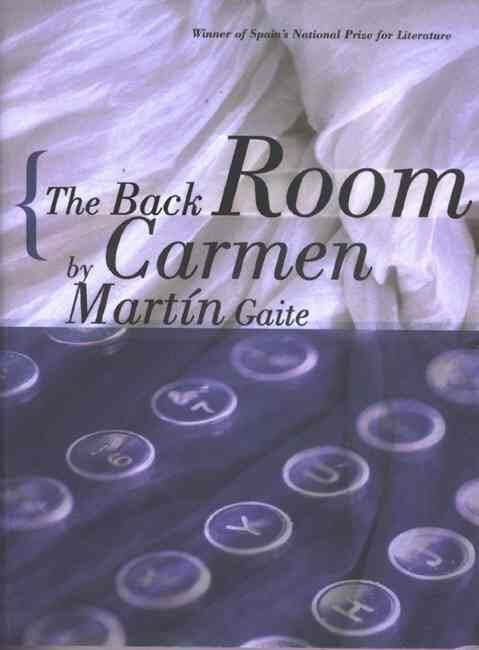 Carmen Martin Gaite’s The Back Room is the only one of the five of her novels to have been translated into English still in print, though it is, perhaps, not the ideal starting point. Written in the middle of a writing career which lasted forty years, it features a writer who we take to be the author (there are references, for example, to her first novel The Spa) reflecting on her childhood in the company of a stranger who arrives one night shortly after midnight, and might be anything from a journalist to the devil; perhaps simply a dream. The Back Room is both puzzling and prepossessing, marking Gaite out as an intriguing writer who deserves attention. You are currently browsing the archives for the Carmen Martin Gaite category.